There is one girl. Her parents were rich, busy and not concerned about her. She was sent to a girls only boarding school right in her infancy. She was brought up there,lived there in the middle of other such children and learnt to live. She woke at a preset time every morning, had a fixed breakfast depending on what day it is, then followed the usual school routine. She comes back from school and she's allowed to play. Then she studies, have her fixed dinner and sleeps in the dorm with other kids she's been living with. Time passed, she grew up and had a tough time seeking solace. She never discovered her true self, always lived in a closed space amidst a bunch of similar ppl. She became claustrophobic. When she finished her high-schooling and came out of her cave, she was one such ill-tempered, rowdy, arrogant brat that people used to avoid. There was a desperation in whatever she did, because for the first time in her life she is interacting with world outside. For the first time, she owns something totally, apart from the cupboard and locker she possessed during her boarding school days. She never shares her things with anyone, and she's over-possessive about anything she owns. Well, if I were her I would have done the same thing or I would have been even more wild. The desperation and the fact that time gone by never comes back, so what you missed is gone forever, is good enough to convert sanity into dementia. Most of us are very lucky, as we lived with our families and enjoyed the comforts of home. We had the liberty to eat whatever we wished and sleep whenever we felt like. Seeking solace was never ever something to worry, as we had ample time to rediscover ourselves and facets of life again and again. In short, kids who grow up at home have better personality developments than hosteliers, barring few exceptions. But how does it matter, when so many boarding schools are flourishing? I'm always emotionally hurt when I see someone admitting kids in boarding schools. Nowadays, people are exploring better career options which require a great deal of time and resources. Some are so busy that they dont even have time for their family?? Whats the use of all this then?I just hope everyone gets love and affection in their lives, with their own people. PS- The girl mentioned in this blog is real, and I accidentally surfed through her blog. She's marrying next month, so I just hope life gets better for her. I can't give her blog address cause I wrote this blog without her consent, so please dont ask. Thanks. I sympathise with her. But what the hell happened to your grammar?? Such stories rise a deep sense of sympathy man! Children r meant 2 learn first 4m home n then at scl... so i think boarding scl shldnt b an option 4 kidz!!! i think boarding school is not a bad idea, its a place for learning 24-7 and it can be a good orientation for a sucessful career building if taken seriously. but alas! 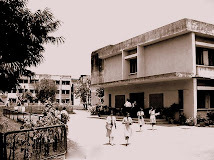 no boarding school gives me any such hopes that a kid will find the right education and also given ample amount of concentration to not make him/her feel bound and neglected in four walls. I have to disagree.. if some person screwed up.. its their own fault.. boarding schools are a bigger opportunity for individuality than anywhere else.. its like having 600 family members as opposed to the three or four regularly.. im sorry .. i was four when i was first put in a boarding school.. yes i only owned one locker and had to rush to catch a shower.. and hated some girls.. but i excelled.. Everybody is put in a system.. her boarding school is the more apparent one.. and in the end no matter how ur life is.. i guess WHAT U MAKE out of the clay you have really matters.. excuse me if i dont have an ounce of sympathy for her! i beg to disagree with the above one. i mean, a boarding school wud b gr8 but livin wid family is different. the bond of blood is the strongest and purest bond ever possible. i dont mean to say that stayin in hostel prevents one from makin bonds wid family. thankfully v r no longer in darwin's stage of survival of fittest(survival for life) n so i dont think that a kid in a system must always do gr8. an adult is expected to mould his/her own clay, but a kid...oh c'mon, life in hostel... tht is really tuf n not every1 can cope wid it mentally n physically. thr is a sayin in my language(sindhi) : "pehenjo ghar sainya jo dar" which basically means "home sweet home" + "home=god's place". also, dont giv me crap abt brothers fightin etc coz such ppl r chuts n dont realise the basic facts n tenets of mankind. they r a disgrace to mankind. life, health, relations n friends come first, others follow wid these. it can never b the other way around. i m not fightin(although it may seem so), its jus tht i really got senti n i wish this girl all the best 4 her future life. @Ektz- thats true, but dwelling in boarding school(b.s.) limits personality dev! but If one finds a nice b.s. where there's ample opportunity 4 everything, then thats gr8 but something will b missing. @isha- Awesome!I discovered new facet of ur personality. May be b.s. has made u strong, and u're quite adaptive but there r ppl who could not turn out be the kind of individual they should have been... apart frm that ur point of view abt that girl is justifiable, may b she messed her life 2 some extent... but life could hav always been better at home!what say? @bhavesh- HAPPY BIRTHDAY TO YOUwow man, u wrote a full blog!! home is indeed seet, but there r ppl who have terrible family n they r better far off home... anwyays hostel if fun once u r on ur own! LOL.. what you'll beat him up if he's not on your side.. bhavesh.. she is in a hostel.. she's just pathetic.. she would have done nothing better in another place. people always blame things and people for their own flaws sweethart get it?.. I know people who go to perfectly good schools and get bullied.. and come home and cut their hands.. and bleed to death.. if you feel sad for every person who thinks they are the only ppl who have problems im so sorry!... for you anyway! Its just that .. there are some people and they are perfect losers.. call me shallow call me apathetic.. but they are losers! boarding schools ain't a bad idea! alright! so u need some years at home n then probably pack ur bags for boarding school! it's not always d case that u're being sent away coz u're not loved at home! probably it's to make u independent and u've gotta agree that personality development is sure shot! 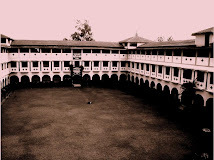 i always cherished the thought of studying at some hill-station boarding school but that was not to be:(! but i enjoyed a good time at home! but hostel life is different! and i agree that what's happening with u is what u've allowed to happen to u! can't blame boarding schools for such sentimental crap! gooooooooo stevey.. i have stevey on my side.. bhavesh u have amod.. whose sort of on my side anyway.. i have a tally here... ISHUUU WINNZZZ yipee yay.. check out my new post.. hehe..
lol.. yeah if u put all the mushy stuff.. the soft core-hearted boys are gonna melt and wage a protest and a rebellion against all the injustices in the world..lol..
i still can't believe you have the highest comment tallies. even with the tag board along side! @anonym- well ok, I guess u have got something from both worlds... but dont u think life needs a change?hostel life(for kids) is stereo-type, fixed same routine but at home sometimes its party, marriage, relatives, restauranting... etc. which maintains the freshness of life. 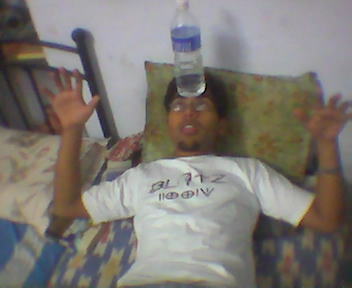 Though hostel makes a kid stronger in the sense that s/he does most things on its own! @anonymous-well anonygal, u hav raised a subtle but strong point which I did oversee. I consider life at home better bcoz I've myself lived there and frm my perspective hostel during childhood is the murder of human values..but since u have lived in hostel and that too with fun so its just like what is home for me. But all I wanted 2 say was that, some kids cry and hate their parents afterwards... its parents duty 2 c if the kid is comfortable in hostel or not. If not bring'em bak 2 home. btw, hostel for kids is damn strict generally. Now u r living in a hostel which boasts a broader society of grown up ppl, so dont u think u live more freely than ur chilhood hostel? All I want is freedom and right to follow one's heart at any given instant of life!! amod amod amod amod amoddddddddd found a pic of you sleeping.. why is it that i only find ones with u sleeping in them.. hehehe.. hmm.. pretty boy song is dedicated in thy honour for all eternity :).. shut up about the hostel life sweetie.. its really fun.. i was in a hostel since i was five years old.. and its perfectly fine.. its amazing.. i'd even go as far as say ppl have more fun in hostels than at normal day schools.. less homework.. more gossip.. less parental traumas.. more dhandas.. it rocks..
yeah, i agree some students are not comfortable at hostel. yep, as adults we have much free life at hostel. I respect your views.i think lets rest the matter here. it was nice listening to your arguments. I was in a hostel for a year, I had fun but then one of the girls there totally screwed up (I am not saying what she did) so I think it depends upon the individual; as in its a good idea for some, not so good for others. Anyways I hope she has a happy life ahead of her. hey .. i was in boarding school from class 8th to 12th. a military boarding school to be precise .allthough u learn loads u still have a sinking feeling once u come out of it all into the outer world. u certainly feel u have missed out on the quality time u cud have spent wid ur parents,siblings oder frbs and so on. In a boarding scl one gets tuned to a particular style of living ..a daily routine , and when one finds the world outside to be pretty different ,s/he is totally confused. These ceratinly are the drawbacks of being in a boarding school ..there are pluses as well but more on that later.